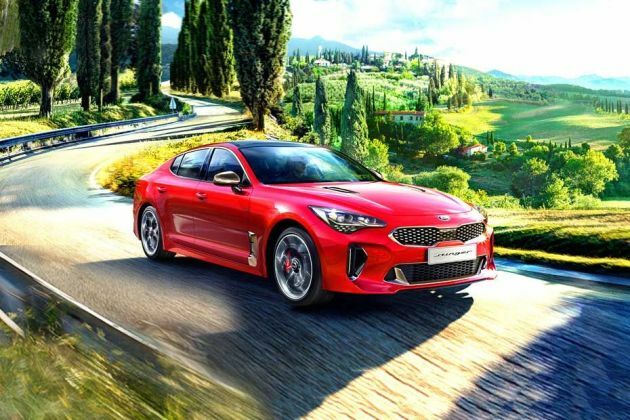 The look of the Kia Stinger is too much sporty and looks fantastic than other cars. Its both interior and exterior are cool and sporty, I like it very much. Nothing much to say about the car , it is very cool . I liked the exterior design of the Stinger and sporty look. It is really very good. .So beautiful car I love the car which has great looks with very good range is good. Massive car for this minimum rate also the so fabulous features. And the car is a real beauty. The flashiest Kia at the expo is the flagship model for the Korean carmaker globally.